The Meitar Opera Studio is a practical study and performance program for young Israeli opera singers who graduated from any given music academy and who are on the verge of embarking on an operatic career. The major goal of the Meitar Opera Studio is to nurture operatic talent in Israel and to help young opera singers to work in their profession. The Meitar Opera Studio program is aimed at young Israeli opera singers who are willing to hone their craft, further their studies on an ongoing basis and gain stage experience, thus getting ready for a full-fledged operatic career. The actual curriculum of the Meitar Opera Studio is aimed at enlarging the experience of the participating singers and enabling them to gain musical and dramatic knowledge on a personal level and even more so as part of ensemble work. At the end of the 18 years of the Opera Studio program, the 80 singers who were part of the program have between themselves performed around 150 roles in various Israeli Opera productions, side by side with participating in numerous concerts and performances in which they performed a very wide repertoire. Singers who have graduated from the Opera Studio program continue to perform in Israeli Opera productions on a regular basis as well as perform with all leading Israeli orchestras all over the country. All Opera Studio members performed most successfully in the Israeli Opera production of La traviata both in Tel Aviv (October 2001) and on a most successful tour to Wiesbaden, Germany (May 2003). In the fall of 2005, all members of the Opera Studio participated in a production of Dido & Aeneas which was performed in Tel Aviv and in Stuttgart. In the summer of 2010, all Opera Studio singers participated in the world premiere of Alice in Wonderland (David Sebba). In the 2018 main stage production of Dido and Aeneas almost all cast members were Meitar Opera Studio alumni. Opera Studio singers also performed in concerts in Switzerland, Great Britain, Australia and South Korea. Notable Opera Studio productions include Le nozze di Figaro, Don Giovanni, Cosi fan tutte, La clemenza di Tito (Mozart), La boheme (Puccini), Werther (Massenet), Die Fledermaus (J. Strauss), Don Pasquale (Donizetti), Dido and Aeneas (Purcell), Suor angelica (Puccini), The Telephone and The Medium (Menotti), I Capuleti ed i Montecchi (Bellini) and others. Meitar Opera Studio also presents numerous concerts with all Israeli Orchestras including the Israel Philharmonic Orchestra, The Israel Symphony Orchestra Rishon LeZion, the Israel Chamber Orchestra, the Israel Sinfonietta Beer Sheva and others. 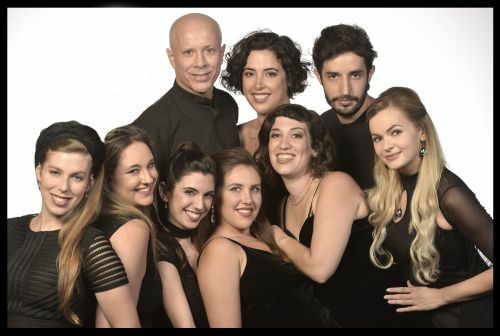 Opera Studio alumni including Hila Baggio, Ira Bertman, Hila Fahima, Noa Danon, Dana Marbach, Ana Virovlanski, Shiri Hershkovitz, Rachel Frenkel, Na'ama Goldman, Anat Czarny, David Bizic, Oded Reich, Daniela Skorka, Tal Ganor, Shahar Lavi, Michal Doron, Nofar Yacobi, Galina Benevic and others perform regularly leading roles with the Israeli Opera as well as in major opera houses around the world including the Vienna Staatsoper, the Berlin Staatsoper, the Deutsche Oper Berlin and the opera houses of Munich, Warsaw, Magdeburg, Dresden, Freiburg, Luzern, Basel, Tokyo, Pesaro and others. The Music Director of the Opera Studio is David Sebba. We invite you to support young artists and develop a new generation of outstanding Israeli opera singers. For donations and further information please contact Shira Raz.